August 7, 2017 By Elise 13 Comments This post may contain affiliate links. Please read my disclosure policy for more info. 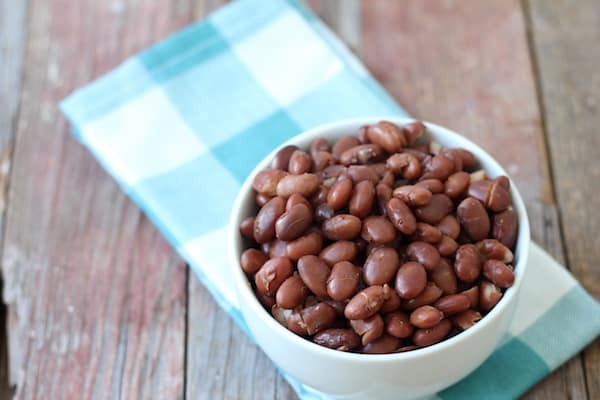 Every week, with few exceptions, I cook a big pot of beans to add to dishes throughout the week – mostly in the form of homemade refried beans, but occasionally also baked beans or calico beans. And less often than I’d like, homemade hummus, especially roasted garlic and red pepper hummus. Now that stuff is yummy! The reason we eat so many beans? Well, they’re super cheap! And they’re also a great source of nutrition including protein, fiber, folic acid, iron, and many trace minerals. But of course, there’s an ugly downside to beans. We all know it. And yeah, it’s the smelly, uncomfortable kind. This is especially true of canned beans by the way. Yep, not only are they more expensive than dry beans, but they’re not cooked in such a way as to degas them. But YES, you can degas them. 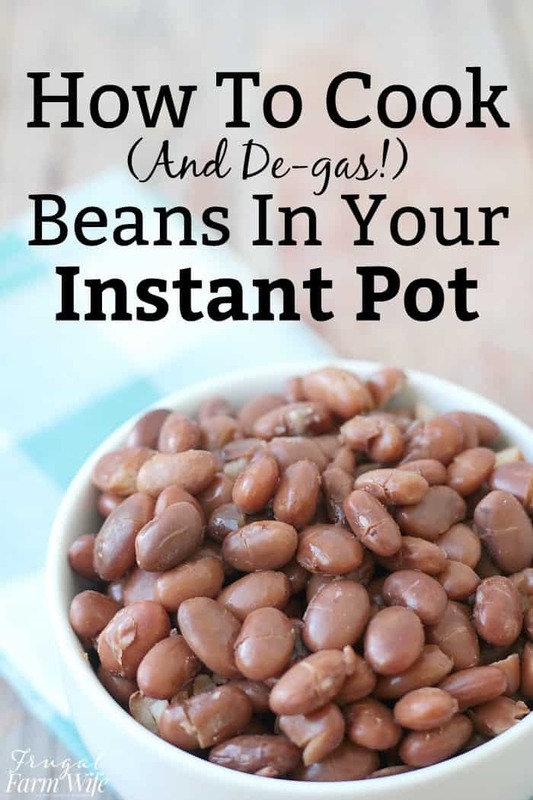 If you run a quick google search, you’ll come up with ten different methods for the absolute best way to degas beans. I’ve tried them all, and frankly, not all of them have worked for us. For a while, I actually thought degassing beans wan’t really possible, and quit eating them. Then I found out that there’s an enzyme in beans that is only broken down by high heat – in other words, cooking them in the slow cooker was half my problem. So knowing that, I decided to give them another go, and we FINALLY hit on a bean degassing method that actually works for us. I’m not by any means saying it’s the only way to degas beans, I’m just saying it’s the one that it totally working for us! And just as importantly as degassing, I’ve started cooking them in my Instant pot. I LOVE being able to put them in, set the timer, and walk away. This morning, I turned them on, and then walked out the door to go paint our new house while they cooked. 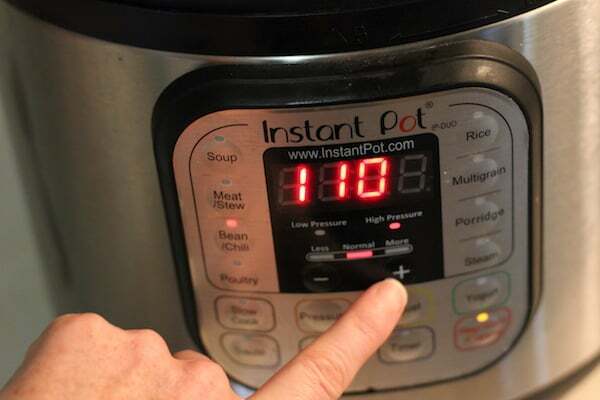 The only problem with walking away is that in the Instant Pot, they cook SO fast – you really don’t need to walk away! Let cook, and then slowly depressurize before opening pot. Made this twice so far. Thank you sooooo much! Before I would feel aweful when I ate beans so I was slowly stopping eating them. Now no issues. What a Godsend you are. Yay! Oh my gosh, so glad it worked for you! 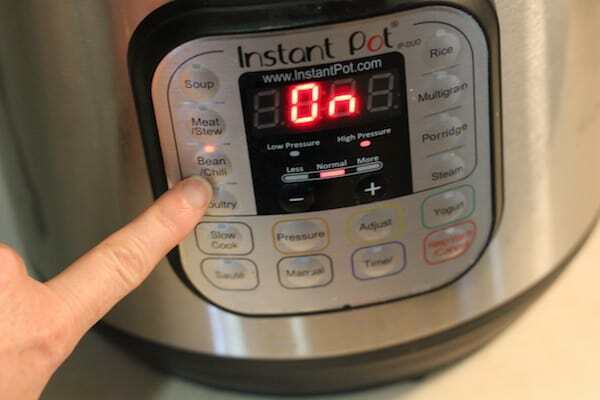 I’ve done beans twice in the instant pot (without soaking) and they made us so miserable that I threw them out. They were delicious, and it’s really convenient to be able to cook so fast, but I was wondering if they really needed the soak to de-gas. I’ll be giving this a try. It definitely depends on who you ask, but in my experience, YES! Soaking, especially in a warm environment helps break down the enzyme inhibitors, and makes a huge difference in digestibility. Soaking beans is the key to degassing them. I usually will set up my beans the night before about 7 or 8 in the evening. 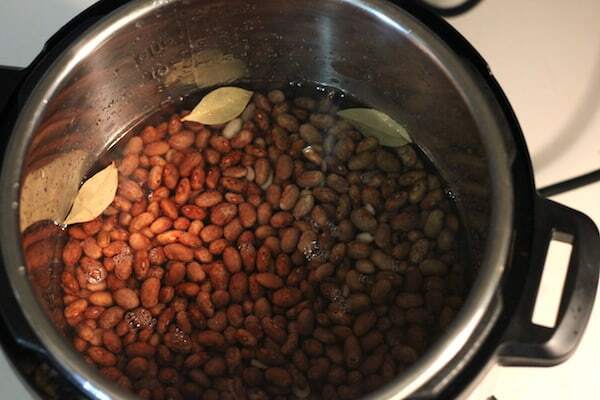 I bring the beans to a quick boil, and take off the heat, let cool about an hour then cover till i am ready to use them the next day. Rinse vigorously as Elise states then cook. After you do this do you then carry on and make Baked Beans with them? LOVE this recipe. So simple. So life changing. Can you share your method for both freezing and defrosting your beans? I need a quicker/better way to defrost them. Hi Chrissy, I either defrost them in the microwave, or put them in a pot with a little water and steam them. Hope that helps! 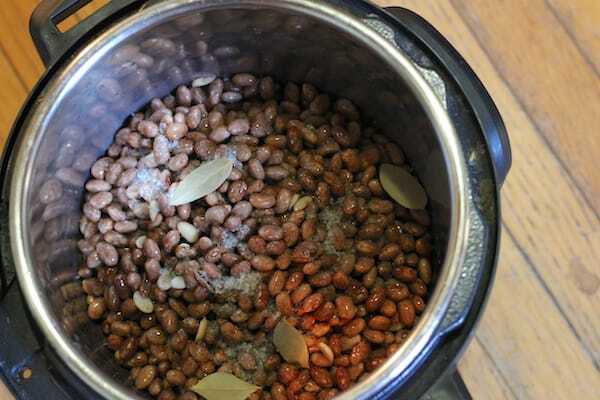 I’ve made beans in the Instant Pot just once, and it was a failure! Gas galore! I’ve always made them on the stove top soaking them for a full day and overnight. Mysecret ingredient has always been “epasote,” an herb used throughout Latin America to de-gas the beans and add a special flavor. It’s readily available in the Southwest and probably in international markets in large cities in the USA. My failure in using the Instant Pot, I believe, was that I didn’t cook them long enough. I used the recommendation from the Instant Pot literature. Big mistake. I’m cooking them next time for 45 minutes! Interesting! I’ll have to look for epasote!